On 28 December, 1885, with a dream of independent and developed India, a group of 72 senior persons (which included social reformers, journalists, doctors, advocates and leaders) met at Gokuldas Tezpal Sanskrit Mahavidyalaya (Mumbai). They had no idea that later the Father of Nation Mahatma Gandhi, Pt. Lokmanya Bal Gangadhar Tilak, Shri Lala Lajpat Rai, Shri Vipin Chandra Pal, Pt. Motilal Nehru, Shri Chitranjan Das, Sardar Vallabh Bhai Patel, Dr. Bhimrao Ambedkar, Shri Rajgopalachari, Dr. Rajendra Prasad, Pt. Jawaharlal Nehru, Netaji Subhash Chandra Bose, Smt Sarojini Naidu, Maulana Abul Kalam Azad, Shri Lal Bahadur Shastri, Smt. Indira Gandhi and Shri Rajiv Gandhi along with the people of this great country will take their dream forward and will use extra ordinary talent to make this country a developed one. Congress party leaders had put very hard efforts for the Independence of this country by following the path of non violence and truth. In spite of harsh and cruel restrictions and attacks by British rulers, our leaders not only participated but successfully mobilized the countrymen via non co-operation, civil disobedience and various other historical movements. Many leaders sacrifice for the Independence of Country and following to their methodology the First Prime Minister of Independent India Late Pt. Jawaharlal Nehru put a milestone of development of modern India and former prime minister Late Shri Lal Bahadur Shashtri given "Jai Jawan, Jai Kisan" statement to put new energy to the people of nation. The first Prime Minister of independent India, Late Pt. Jawaharlal Nehru laid the foundation of India’s development. Later, Late Prime Minister Shri Lal Bahadur Shastri energized the nation with his slogan, "Jai Jawan, Jai Kisan". First woman Prime Minister of India, Late Smt. Indira Gandhi introduced Green Revolution and abolished Privy Purses. She initiated nationalization of banks and established premiere engineering college Indian Institute of Technology (IIT) Khadagpur, thereby ushering the nation on the path of technical education and empowering the youth to utilize their talent. Thereafter, an epitome of young India and the youngest Prime Minister Late Shri Rajiv Gandhi introduced Information & Communication Technology which ultimately led us into the era of modern India. Despite all odds, it was a great achievement for the young and impatient India. Today, all the development and progress (e.g. successful Chandrayan and Mangalyan mission) we see are the results of long sightedness of our leaders. Under the leadership and guidance of All India Congress Committee’s President Shri Rahul Gandhi, Indian National Congress (INC) is committed for the welfare of people of India and continuously enhancing the golden heritage of the Congress party. 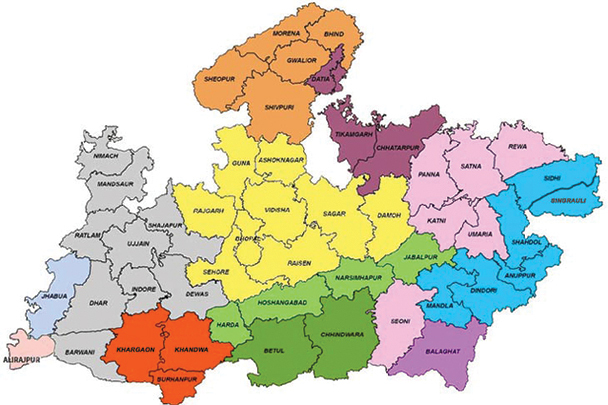 After independence, when re-organization of States took place, on 1st of November 1956, Madhya Pradesh was born and then Madhya Pradesh Congress. We are committed to the development and progress of people which in turn will lead to the development of State, the heart of India. 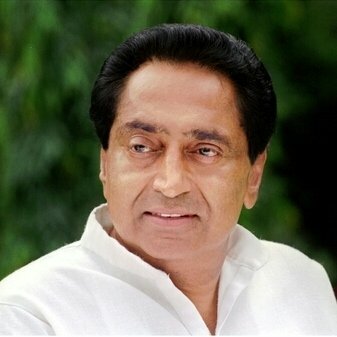 Since the time of first State President, Late Shri Babu Govind Das to current State President, Shri Kamalnath, it had been (and will always be) our duty to serve the people with the help of our dedicated party workers. We assure the people of Madhya Pradesh that we are duty bound to highlight their issues in the assembly and act as a constructive opposition. A nation's culture resides in the hearts and in the soul of its people. The difference between what we do and what we are capable of doing would suffice to solve most of the world's problems. Non-violence is the greatest force at the disposal of mankind. It is mightier than the mightiest weapon of destruction devised by the ingenuity of man. My religion is based on truth and non-violence. Truth is my God. Non-violence is the means of realising Him. Unity and integrity of our nation is more important than anything else. India intact's. Secularism is the basic principle of our nation. Secularism only there is tolerance. It involves active efforts be made to Goodwill. No religion teaches hatred and intolerance. Vested interests, both internal and external, India to fragmentary and are instigating communal passions and instigating the violence. Reply to communalism these subversive and separatist forces of communalism will lead to. Their combined strength of the people and the government will undo Mnsubon . India and it is one of all of us. We are a party of the people whose dignity is past. Our party is the party of the future, So we must ensure that it is kept awake every hope among Indians. This is our cry is our responsibility. The session between the message. Should your power to Congress, is aware of its responsibility. We are bound together Will increase your power. We will be his duty to unite. We are together Per common people retained their faith proved itself with Can be. Since the birth of Madhya Pradesh, Congress is working for public welfare and development. As a political party, we have always strived to secure the rights of citizens’, move on the path of secularism and work in good faith without affecting diversity, culture and flow of thoughts. I got an opportunity to lead Congress party in Madhya Pradesh, which has over 128 years of rich heritage. I am proud to serve as a member of a political party that had visionary leaders Mahatma Gandhi, Pt. Jawaharlal Nehru, Iron Man Sardar Vallabh Bhai Patel, Indira Gandhi and Rajiv Gandhi. I consider myself as fortunate to have served under architect of new India, Dr. Manmohan Singh and continue my political journey with Shri Rahul Gandhi. I strongly believe that this website will certainly help to establish direct communication with the public and every party worker. I heartily invite you to join this movement and work with the Congress party to take our Nation to the next level of progress and make our great country a super-power in the real sense!